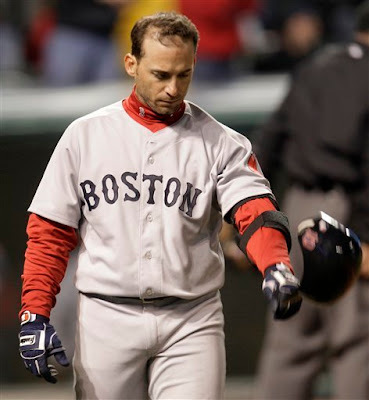 Last night, as was first reported by Troy Renck of the Denver Post, the Red Sox traded shortstop Marco Scutaro to Colorado for RHP Clay Mortensen. It seems that the move was done purely for salary dumping purposes, as the team stands to save a little under six million. It is assumed that money will be reallocated into the search for starting pitching, but that remains to be seen. Mortensen has started more than half of the games he has appeared in during his short career, but has not put up great numbers. The first round pick in 2007 has struggled since his first year in pro-ball, and has never lived up to his first-round pick status. In 24 games a the big league level, he has not impressed. He doesn't strike guys out, walks guys a little more than average, and gives up home runs at a somewhat alarming rate. His strength is keeping the ball on the ground, with a career 51.3% ground ball-rate. Last year, in 16 games, he had a respectable 3.86 ERA, but his peripherals and 5.34 FIP both suggest that performance to be unsustainable. The hope for Red Sox fans has to be that a move away from Coors Field will help his startlingly high HR/FB ratio, although that ratio was 18.8% with most of his time spent in Oakland in 2009. He does have a remaining minor league option, and seems to be more starting pitching depth. Scutaro on the other hand, was a good player for the Sox over the past two seasons, and has been worth 5.3 fWAR during that time. With him gone and shortstop currently vacated, it seems that Mike Aviles and Nick Punto will be platooning the position. I would expect Aviles to get the bulk of the starts, with Punto filling in for defensive purposes with a contact pitcher, or when Aviles spells Youkilis at third base. I would not expect Iglesias to be playing yet, as his offense still seems to be well behind his glove. All things considered, I'd expect the loss of Scutaro to be countered with the addition of a starting pitcher like Roy Oswalt, Edwin Jackson or Gavin Floyd. Although some don't like it, the team's budget worries are real and the move was necessary to land a SP, which is something this team needs badly. My only complaint I have about the trade is the return. Sctuaro has been a very serviceable player at a scarce position in this league, at a relatively cheap price. It seems that this late in the offseason, with pretty much every other option off the board, some team could have ponied up more than a AAAA pitcher for his services. However, I can't say with absolute certainty the team could have done better, so I will hold off judgement on the deal until I see what move comes next. If, as expected, the team brings in one of the top starting pitchers available, the improvement of the pitching staff will outweigh the loss at shortstop, making this deal worth it.